Just smoked turkey bacon for the first time. Let it smoke on low for 30 minutes then on high for 15 minutes. Just flipped it over every 5 minutes on high. Damn good ****! I smoked some burgers yesterday, not worth taking pix. I have not smoked anything for two weeks. GASP! rest assured, I'll get back on track Friday evening. Pork shoulder is in mind. Brined the bird in water, kosher salt, chicken stock, cracked black pepper, a wedged lemon and a literal ****-ton of minced garlic. Only intended to brine for a day or so, but circumstances led to a 3 day brine. Happy accident. 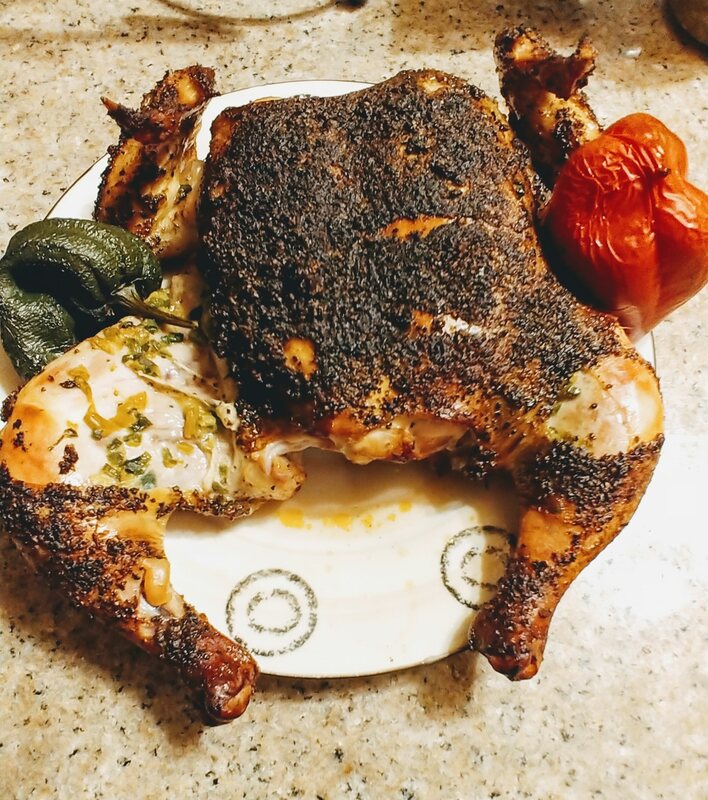 Spatchcocked the bird and coated it under and over the skin with a compound butter I made with diced roasted Hatch and Poblano chiles. Then gave it a sprinkle of black pepper, garlic salt and ancho chile powder. 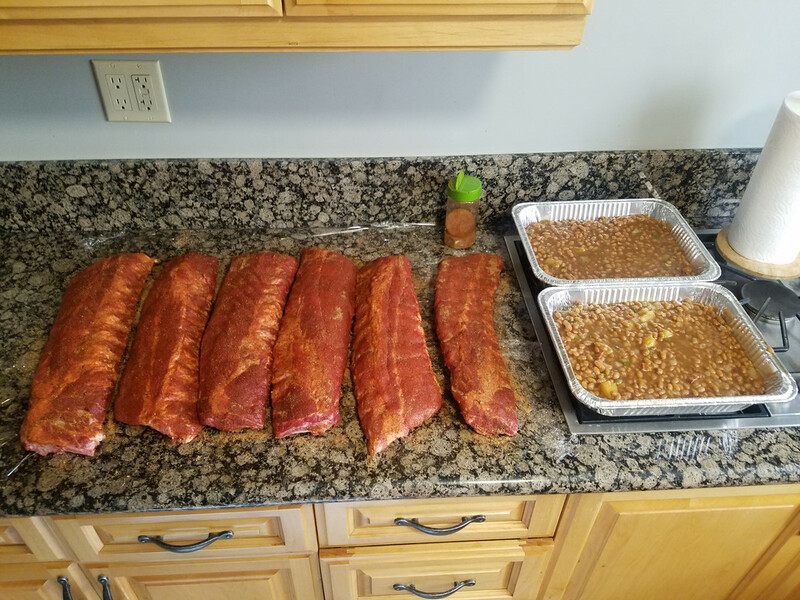 Smoked on my MES30 at 275 for just a little over two hours, and smoked a Bell and Poblano pepper for the last hour. Holy crap...this is the best chicken I've had in my life. This weekends offerings, my wife bought me the Boysenberry BBQ sauce when we went to Knotts. I used it sparingly, wasn't too bad. 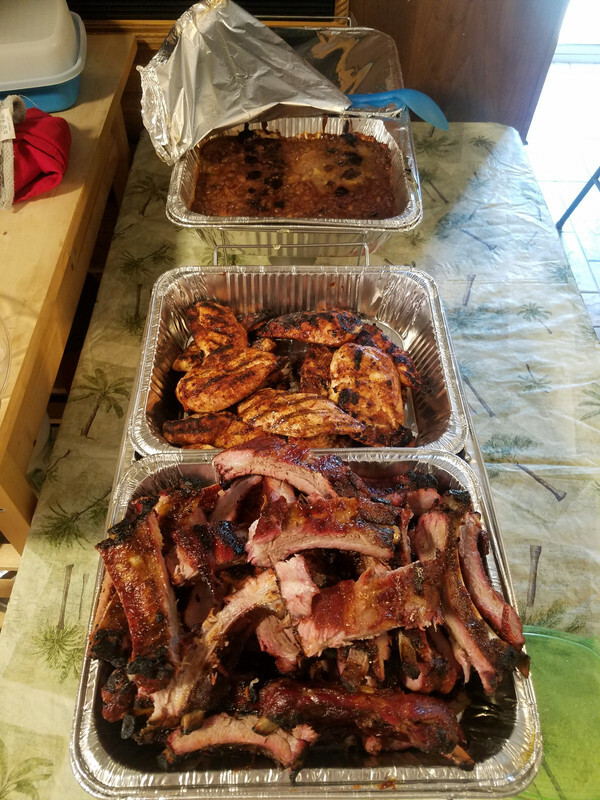 Wings, St. Louis ribs, ABTs. Maple rub on top, Applewood Rub on bottom. Maple sauced slightly with the Boysenberry BBQ sauce, Applewood sauced with Sweet Baby Rays original. Last edited by beedee; August 27th, 2018 at 10:00 AM. meanwhile, Home Cheepo has theirs for less than $10. am I the only one who experimented with the smoked bacon-wrapped carrots? I did over the weekend, and it was meh. although carrots would be among the very few things in the world that doesn't pair up well with bacon, I think some seasonings would have helped.